General Motors invented the automotive design department. Before the Hollywood car customizer Harley Earl joined GM and created what was then called the Art and Color department in 1927, a car's appearance was usually an afterthought. And that's if it was a thought at all. Now GM's sixth head of design, Ed Welburn (above) is about to retire after 44 years at the automaker, 13 of them as vice president of global design. He's the highest ranking design executive ever at GM, the first man to have control over all of GM design around the world. He's left his mark. Welburn took GM design forward with a combination of subtlety and originality. Like them or hate them, GM's latest designs under Welburn have imitated no-one. 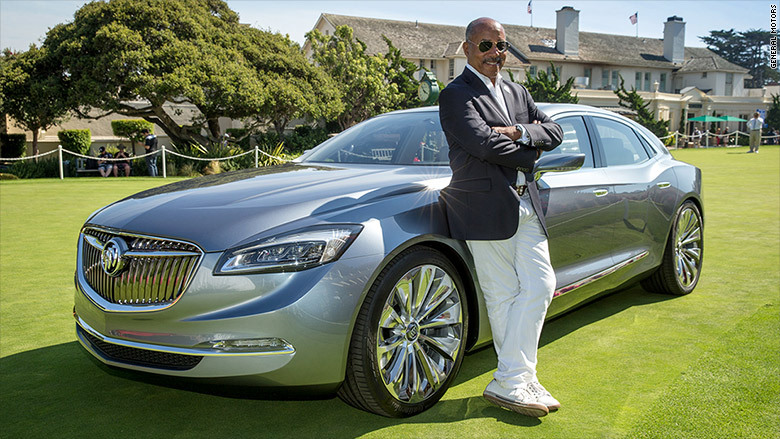 A prime example is the Buick Avenir concept car, seen here with Welburn leaning on the fender. Unveiled at the 2015 Detroit Auto Show, the Avenir showcased a new design direction for Buick, GM's near-luxury "premium" brand in the United States but also a hugely popular make in China. We asked Welburn to list his favorite cars and trucks from his years heading up design for the world's biggest automaker. Here they are.